Did you know you can build a shower out of a five gallon bucket? Well, now you do. There are many different methods to go about this. 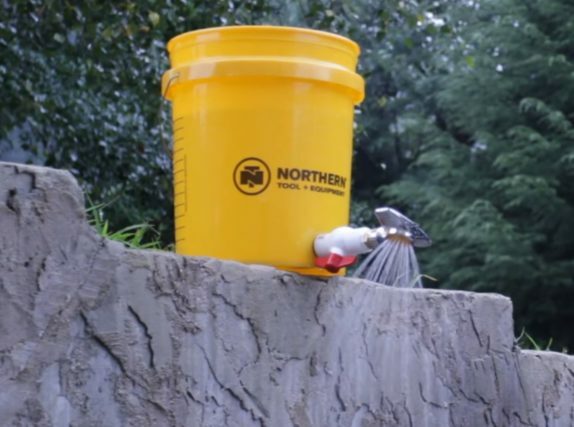 You could of course simply stick little holes in the bottom of your bucket for a very low-tech method, but we’ll show you a better method after the jump. The bucket-shower you see above was designed by KGB survivalist, who explains how to build this shower step by step in his video embedded below. Using a standard five gallon bucket, a valve and some additional equipment he manages to build quite a nice shower. 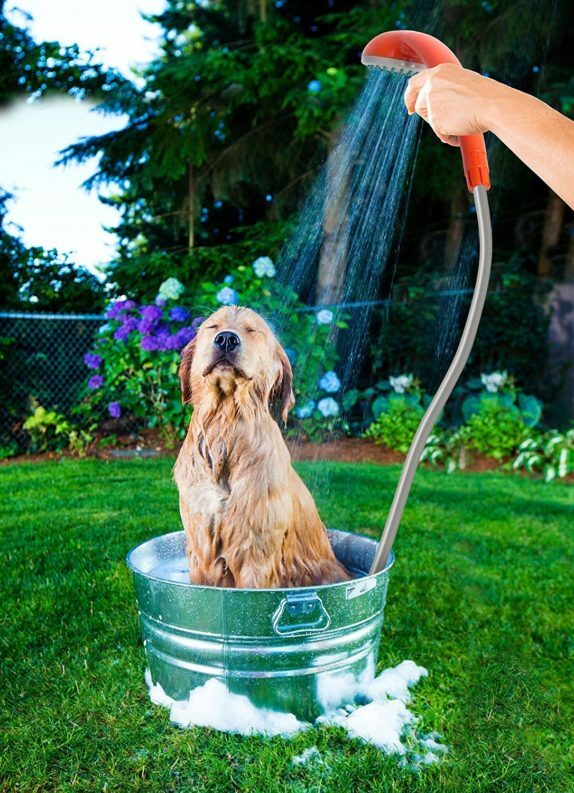 If this looks like too much work for you however, we have a better solution: A portable shower! This shower is battery powered and merely has to be stuck in a source of clean water to spray your body. Worth mentioning is that the battery-powered shower is very easy to recharge. Its USB Charge allows you to simply charge it in your car or using a laptop, making it very useful when you go out traveling somewhere. It’s also a good idea to take with you when you go camping, in addition to the other great suggestions we have for supplies to take with you when you go camping. Taking a shower with cold water is of course not ideal, you’ll get bored of that pretty quickly. Ideal would be to have a way to heat water on the spot. You could simply gather some firewood and boil it on a camp stove of course, but there are other viable methods too. We explain some simple low-cost solutions to heating water in our solar hot water heater article.